For the land photographer the way that time of day influences lighting is very important and can produce some distinct moods. 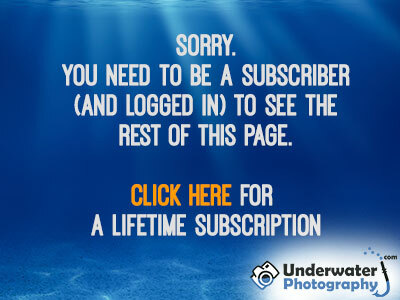 For the underwater photographer time of day is less pronounced. There is either enough light to work with or there isn't! Some general observations can be made about the quality of natural light underwater with relation to the time of day. Maximum light levels are encountered at midday when the sun is directly overhead. By definition, natural light is white at midday (on the surface) and underwater this top lighting produces a colder color balance.